Omega 3 Fatty Acids are well recognised by doctors and numerous scientific studies as essential to maintaining optimal health, particularly in critical areas of a mans body like the heart, brain and joints. They help support the health of the cardiovascular system, maintain triglyceride and cholesterol levels. In addition, they assist in promoting a healthy brain function, controlling mood levels and supporting healthy joints and muscular mobility. 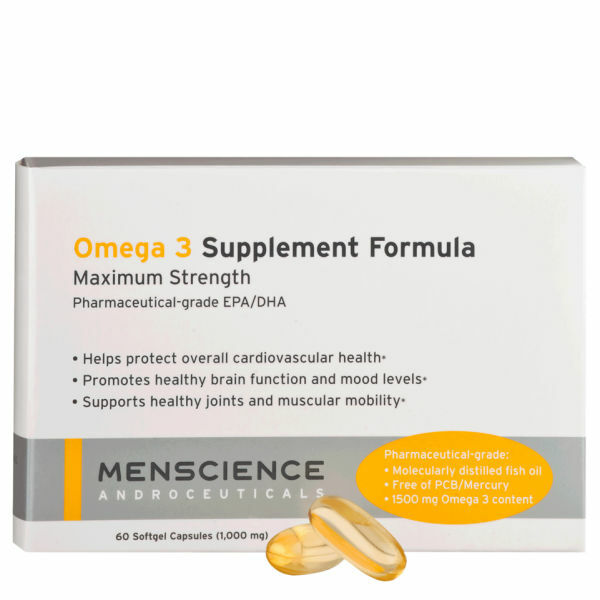 This pharmaceutical-grade proprietary formula provides a maximum-strength (1,500 mg) Omega-3 concentration with an optimal ratio of EPA, DHA and DPA. It is molecularly distilled from fish oil and natural marine lipids to be completely free of PCB and mercury. Supports healthy brain functions, including vision and mood. Promotes healthy joints and may assist with muscular mobility.